A united Ukraine, together with Europe, would be invincible, Ukrainian President Petro Poroshenko said during a lecture he gave at the Institute of Europe at the University of Zurich on Monday. "We must do everything for Ukraine to join the European family, even if Russia doesn’t become a European member. After all, this process will lead to the broad democratization of Belarus, Moldova, Georgia and other countries," he said. "I still have a belief and a dream that if Europe unites with Ukraine, Ukraine will be invincible, despite the number of problems that could have in the future. 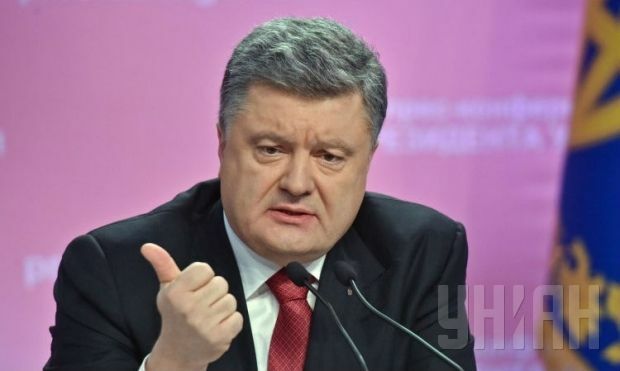 If Europe is with Ukraine, we will overcome all the problems," Poroshenko said. The president also said that Ukraine has confirmed its desire to develop democratically.